Back in October rumors of Warner Bros first live-action web series based on DC Comics’ Static Shock were leaning towards Jaden Smith taking on the titular role. And it looks like that casting choice was set into motion, as Walking Dead actor, Tyler James Williams confirms (or lets slip) the decision in a recent interview. I don’t know...What you’re talking about. But yeah no, it’s great to see Static Shock is happening with Jaden. This is the first real confirmation of the rumor we heard back in October, but without the official announcement from DC and Warner Bros, we do have to take this with somewhat of a grain of salt. Williams seems pretty sure of the project though, and it sounded more like a slip than misguided information. 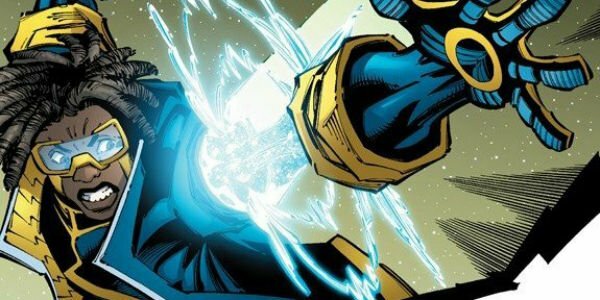 As Warner Bros. gears up to introduce some more superhero-based content, Jaden Smith as Static Shock is a welcome addition. With his father, Will Smith, taking on the role as Deadshot in the upcoming Suicide Squad, and his mother Jada Pinkett Smith who played Fish Mooney in Fox’s Gotham, the Smith family certainly has a connection with DC. It's weird, because so much of it comes from what Static is as a concept. It's amazing, because Static as an idea is more timely than ever. Part of it is just how history moves. But in terms of social relevance and who he is and what he represents, it's perfect...It's a project that's very much on the fast track. I don't have a timetable for you, I don't have any real details about it, but it's moving very quickly, and literally everyone who's in the room loses their mind. Jaden Smith would play lead Virgil Hawkins, a self-professed teenage geek with a love for video games and possesses electricity-based powers. Smith fits the age bracket of said superhero, and would certainly be a strong choice for the series based upon his recent acting endeavors. We’ll keep you updated with any further confirmation on the casting, but as of now, sounds like Jaden Smith has joined the DC family.